Available in four shades of white and various framing options. Offered as hinged, sliding & bi-folding to add that touch of class to all areas of your home. 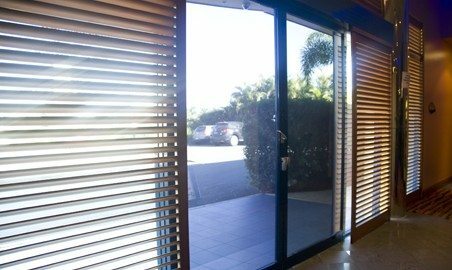 At Modern Blinds, the Designer style of shutters continues to be one of our most popular options for Australian homes and business. 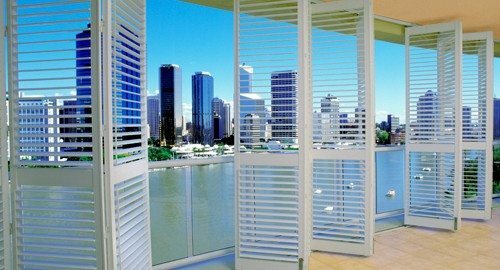 Designer Shutters have great insulation properties, are fire retardant, durable, moisture-repelling, termite proof and will not crack or peel – perfect for our climate and conditions. The style is practical and attractive, making them a great addition to your home or business. Our Designer shutters are available in both 63mm and 89mm blade options and in a range of white tones to complement existing paint colours and decor. They can be made with a choice of tilt bar positions including the modern hidden metal strip to allow full view when the shutters are open. Flexible configuration options – sliding, bi-fold, hinged and fixed – ensure you’ll find the right shutters to furnish the windows in your home. 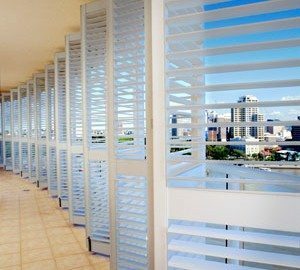 We’re more than confident we’ll be able to customise your Designer shutters to perfectly fit your home or business windows. Our Designer Shutters are manufactured overseas, providing our customers with an affordable high-end shutter option, with no compromise on quality. They are backed by an extensive 20-year warranty, providing peace of mind in your investment. Feel free to visit our Southport showroom to see our range of quality window furnishing products for yourself, including our popular Designer shutters. From Monday through Saturday, 6 days a week, our friendly, professional consultants can carry out a FREE measure and quote in the convenience of your own home or business. All of our products are custom-made to your measurements, so you know you’ll be getting the perfect fit and style for your windows. 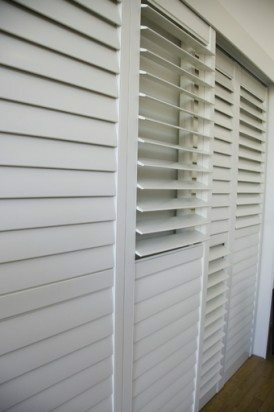 Talk to a friendly consultant about Designer shutters for your home or business. Call call us on 07 5606 7699 (Gold Coast) or 07 3041 4876 (Brisbane) or simply contact us online. We can arrange an obligation-free quote for you today.